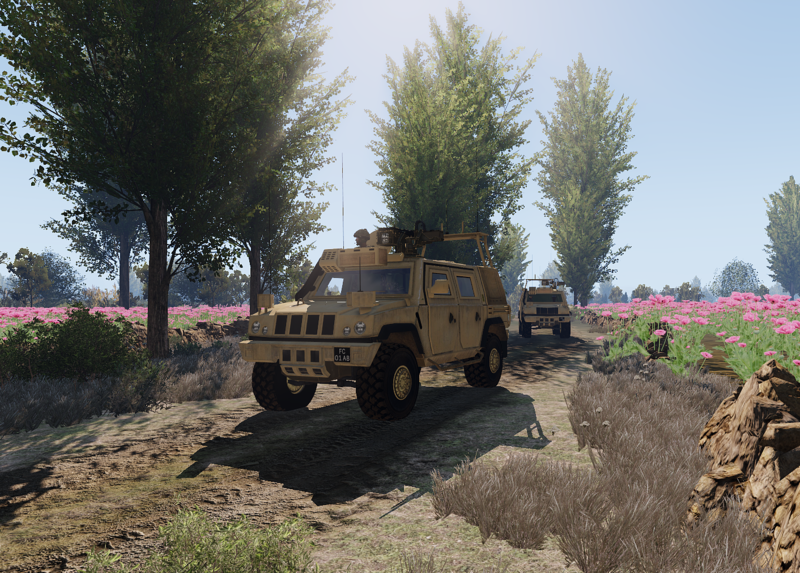 I'm very pleased to annouce two pre-release additions to our 3CB BAF vehicles pack, the Panther command vehicle and the Panama remotely operated vehicle. Both of these vehicles have been added to our 3CB repo for player testing and feedback. Mission designers and zeus, please make use of these, if at all possible, so we can gather some useful feedback. Here are some notes for this pre-release. It's v-shaped hull and a collapsible sandwich structure in the floor deflect and absorb mine blasts, while the driver and crew of 3 are further protected by bullet proof windows, ballistic armour packs and anti-mine suspended seats. The vehicle is packed with the British Army's latest BOWMAN communications suite – the Platform Battlefield Information System Application (PBISA) from General Dynamics UK and provides the highest level of situational awareness currently available. Credits: The base (work-in-progress) version of this vehicle was created by Burnes15th (Katie Byrne). Donated to 3CB with permission to modify and release. The Panama vehicle is towed behind another vehicle – usually a Buffalo MRAP vehicle. It can be unhitched from the towing vehicle without the crew having to expose themselves, and remotely driven to search for explosive devices. A single system consists of two Panama vehicles and a control station. They usually work as part of a Talisman team, which consists of two Buffalo Rummage and four Mastiff 'Protected Eyes' vehicles; two micro unmanned air vehicles (MUAV); two HMEEs; and two Talon UGVs. - drive at slow speed (5kph). - be aware that the ground penetrating radar has a very short range (5 - 8m) and that the radar boom will set off some mines if you don't stop in time! The Panama is great at detecting mines over a relatively wide path, but it doesn't clear them. They need to be either marked, or disposed of manually, by the following clearance team. This APC has had an update to it's Remote Weapon Station, adding the target tracking and identification system from the Panther CLV. Use the same key commands as outlined above. The gunner needs to turn-out through his hatch to reload too. General feedback and bug reports are welcome. 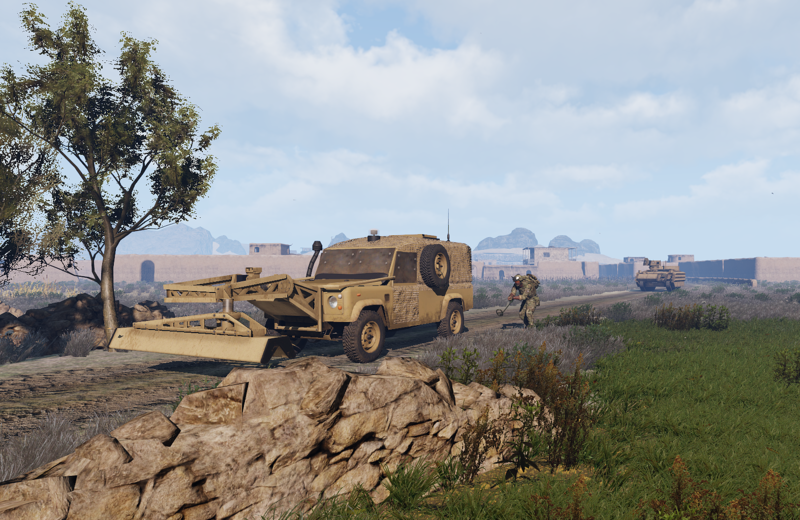 Your forum comments will be used to improve the vehicles before general public release in the next few weeks. Well done guys, awesome work always. Looks great guys. Thanks for all the hard work. These look absolutely phenomenal, I can't wait to use them for some OPs. Thanks to the modding team! even though it has already been said, you guys are amazing. keep it up!